Established in 2001, Chinup specializes in manufacturing of Cutting Presses, Die Cutting Machine, Automated Cutting Systems and Card Processing Machinery, such as plastic card machine, envelope cutting presses, and more. 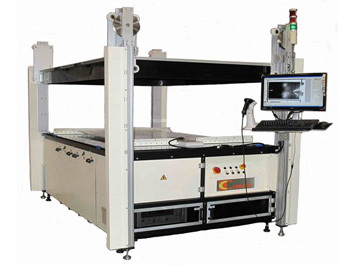 In 2007, Chinup started to devote to the development of solar module manufacturing equipment and launched the solar module production line in market in 2008. With vast experience in cutting applications and solutions, Chinup is capable of providing tailor-made systems to increase your production efficiency and to save your production cost. We aim to provide high quality machines to show you the value of your money.